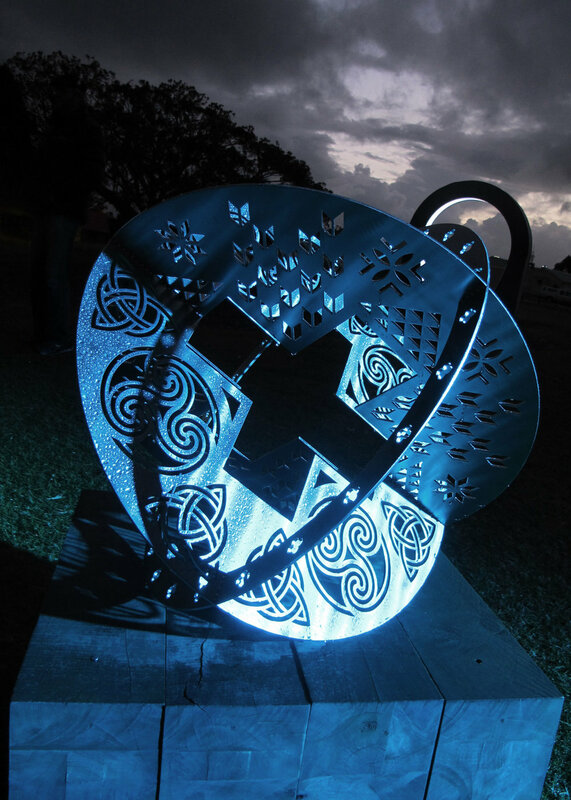 The Celestial Orb combines Celtic imagery, modified to represent and evoke the circular movement of sea and sky; strength and resistance. Traditional pacific weaving patterns reference the physical necessities of nurturing and warmth, while the encircling band represents Earth and Sky. 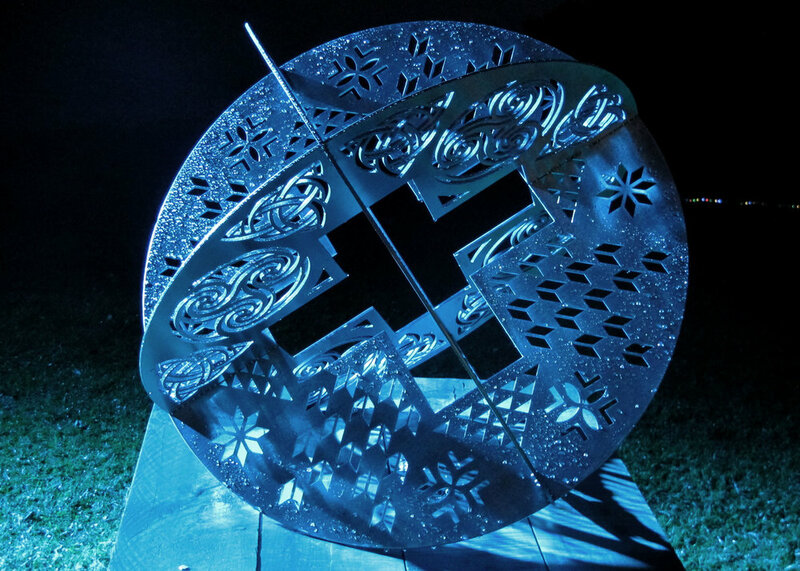 At the centre of the form two equal-armed crosses intersect to create the heart of the Artwork. The central cross predates Christianity and alludes to the four elements in Ancient Greek mythology, Fire /Water /Air and Earth. For the Celts the ‘equal-armed cross’ referenced time, navigation and the four seasons. 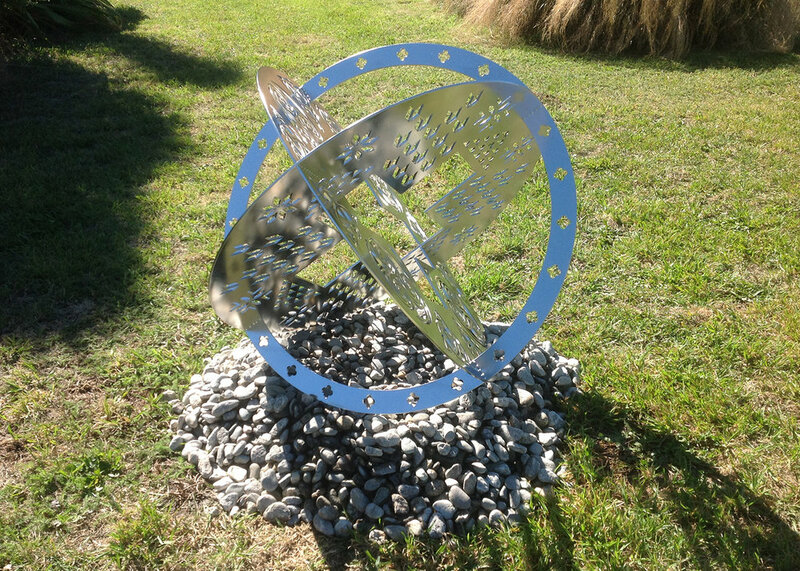 The form of the Sculpture alludes to maritime navigational, signaling systems, historic astronomical instruments and obsolete apparatus created for the measurement of time. Materials: 5mm Marine Grade 316 Stainless Steel. 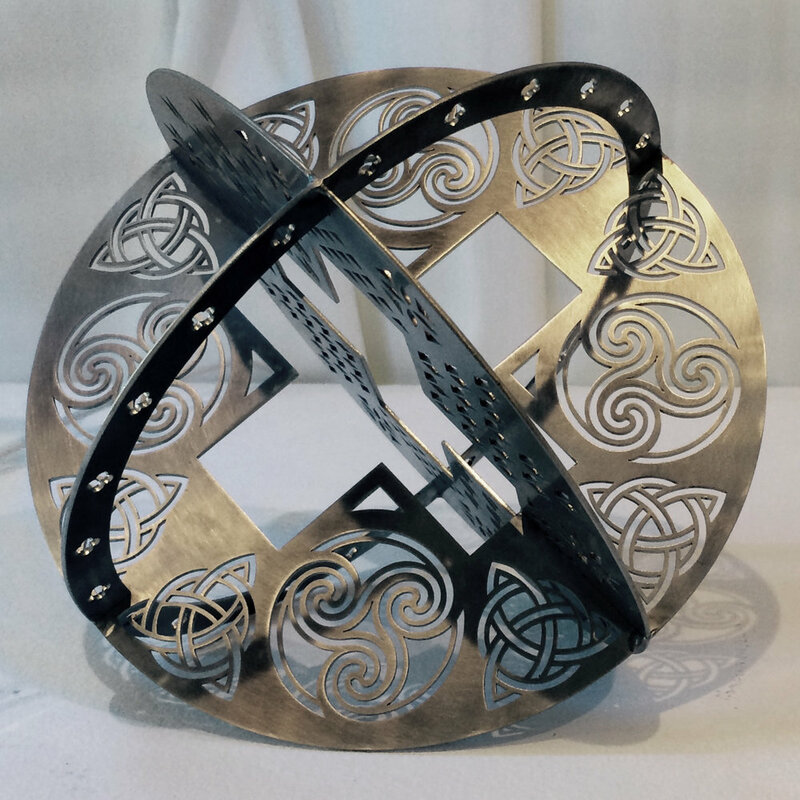 Created initially as a Maquette for Navigational Orb. The Artwork series is an edition of 25.